Come join us for the new monthly networking event "Rise Up", a morning collaboration where the young professionals of Plant City have an opportunity to hear from experienced community leaders. No RSVP required. This month's guest speaker is John Dicks, former Plant City Mayor & City Commissioner. 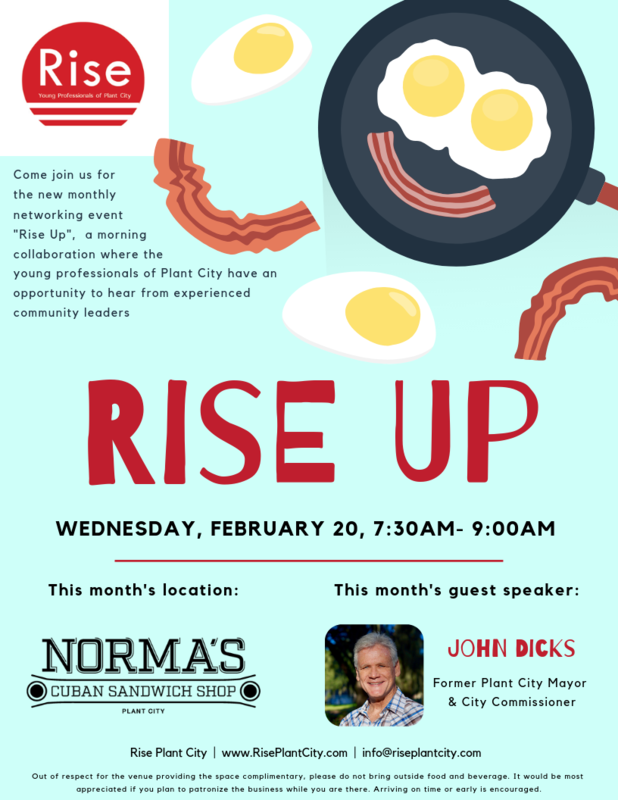 This month's Rise Up will be held at Norma's Plant City Cuban Sandwich Shop.